Blog / If you care about security, use MyWish! Smart contracts are relatively new programming technologies. Common safety standards and documentation of their use do not exist yet. But blockchain community is actively sought to this. Since smart contracts are aimed at storing, moving and distributing assets, one small coding error can lead to losses of big money. Hacking smart contracts is a common phenomenon in the crypto world. Therefore, technical shortcomings should be eliminated completely. If you are planning to launch a token on the Ethereum blockchain, you probably know the importance of third-party code auditing. High-quality external auditing can ensure that your smart contract does not have code vulnerabilities. The existence of such document will be a plus in case you are trying to list your token on exchanges or to increase the credibility among your clients. It can’t be denied that it is important to select a group of experienced auditors. The MyWish team works towards improving the quality of service, therefore, it expands its activities only with trusted partners. Let us introduce our new partner in the security sphere of smart contracts. 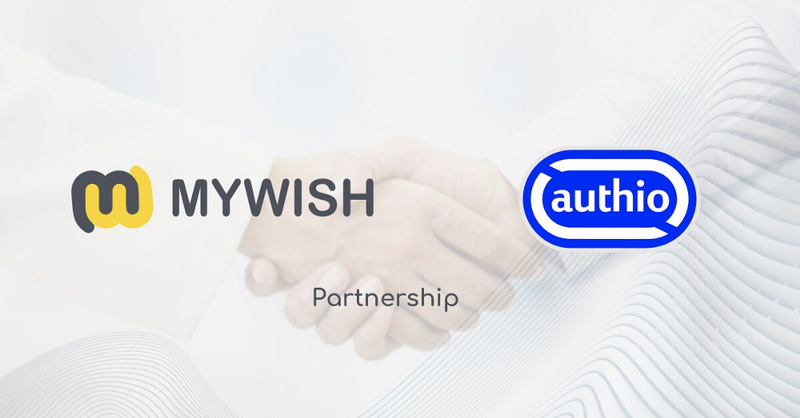 MyWish company sent its token smart contract for the audit to respectable company Authio.org; audit results you can see on the official website https://authio.org/audits/mywish-token-audit. Now every client can receive a unique report reviewing the security considerations of their token contract. The client can request a Branded report with his deployed Token contract from Authio via MyWish. What is the Branded report? The branded report is a document that’s contents are otherwise identical to the MyWish Audit Report found on Authio’s website, but includes trademarks and/or brand assets specified by the client. How to get the branded report? 3. Authio will send you the branded report by email. Such a procedure is necessary in order to protect large sums of money collected by users during the implementation of their blockchain projects — after all, even one bug can be very expensive. We offer our clients to receive a branded report confirmed by Authio with your token contract, within 3 days by mail. To sum it up, now there is no need to order an audit of a smart contract apart. With one click, you can add the branded report directly on our website and receive your branded report by email within 3 days! MyWish cares about its customers and tries to anticipate community requests. We are changing and becoming the best service for you.